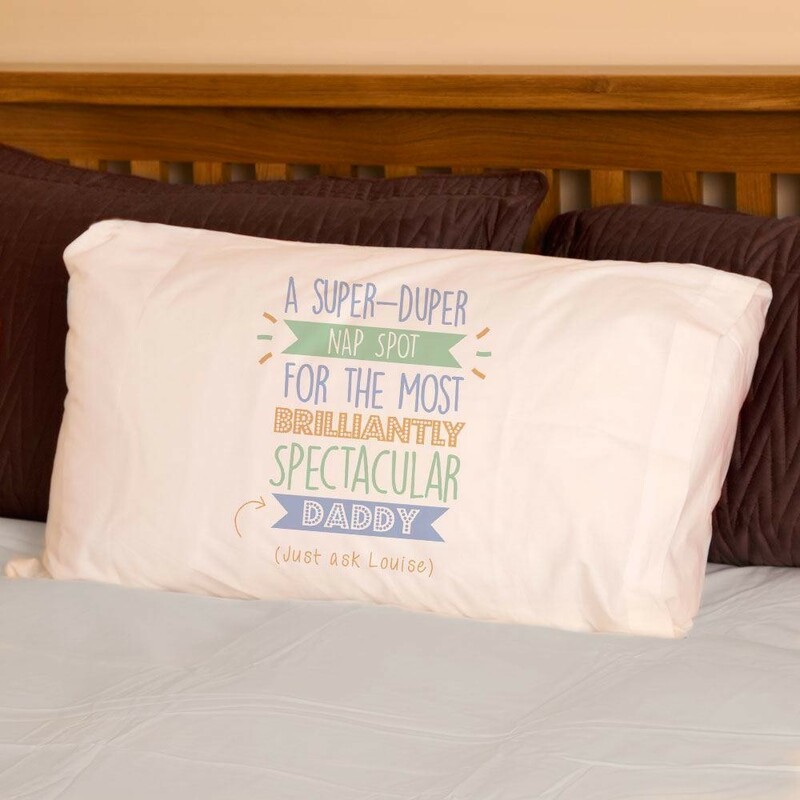 This 'super-duper nap spot' pillowcase is the perfect gift to give to your dad. It features a stylish typography design, telling your dad just how brilliant he is, in a bold and colourful way. It is personalised with your term of endearment (eg. Dad/Daddy) on the bottom banner and the first name of the sender. It will make a perfect gift for his birthday, father's day, or Christmas. 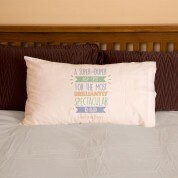 This pillowcase will stand out in his bedroom, and will always bring a smile to his face. Pillowcase Features: *White pillowcase *High quality super soft pillowcase *Each pillowcase is luxury Egyptian cotton *Our printing method leaves the text soft to touch so there is no 'rubbery' feel to the print *Measurements: 50x75cm so it fits any standard sized pillow *Machine washable at 35 to get the most out of your printed pillowcase.